Welcome to the fifth in our series of weekly puzzles. This is the second by Prolixic – one of our rising stars. I had so much fun setting the first crossword and seeing the responses, I thought it would be worth having another go. Your views may vary! 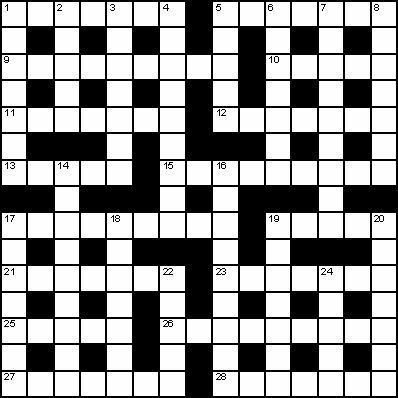 This puzzle is a straightforward crossword with no theme, so should be easier than the first one that appeared a few weeks ago. Once again, I have tried to include a range of clues to cater for all ranges of ability. I hope that it feels like a Telegraph crossword as this is what I was trying to achieve. Thanks are due to Gnomethang and Big Dave for their comments on the first draft.